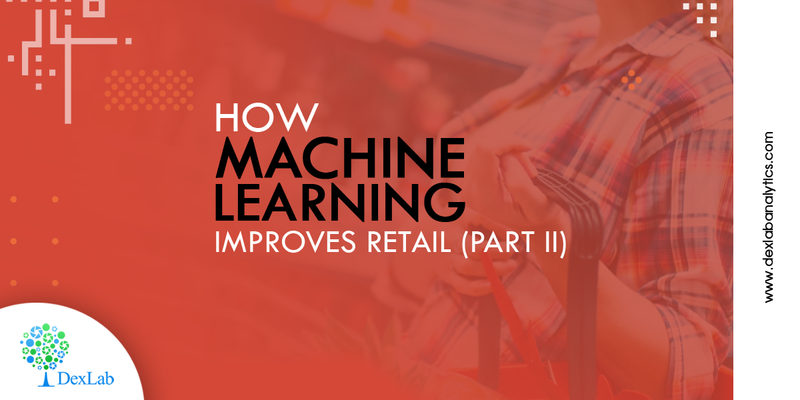 This blog is a continuation of the previous blog that talked about how data science is improving retail – through cutting edge machine learning training models. For sure, retail and ecommerce churns out a humongous amount of data, but with no proper tool of analysis, the vast pool of data lies unutilized, unearthed and you end up knowing what you already know. In this blog, we will delve into a few common uses of data science in retail – which demands absolute attention, before we start automating procedures. In a traditional shop setup, retailers would have consultants who would understand customer requirements and use their own judgments to help them find a suitable product. In an online scenario, this would be based on past performance and revenue generation and the sole aim would be to pitch the highest selling product. Not only historical purchases and recent online activity, but consumer’s social media and online sharing would give more idea about their interests, preferences and designer they like. Sometimes, we also come across ghost clients – clients about whom we have no information, in fact, we don’t even know from where they are browsing. In this case, your recommendations would be based on intuition and might not be 100% accurate. The deal becomes trickier here. On the other hand, there are clients about whom who know everything – and thus tailor our offerings. No wonder, we have to keep products to satisfy our niche customers, but on a wider scale, we have to introspect what stuffs to keep in stock. A proper analysis of our product demands and the kinds of products our clients swear by, we can ascertain what items to restock again and again. Also, we can take a cue or inspiration from our vying competitors, as they are a good source of information for a perfect assortment of products you want to include. A full account of their inventory will enlighten you about a few blind spots you had, and devise how to correct them before it’s too late. The people will pay whatever rates the market supports. The price of the product is still subject to change, depending on the country of origin, taste and preferences and market scenario. But these are more of a supply side changes, so what about the demand side? Interested customers are keen to buy products even at varying prices, but the products should be truly good enough. The scale also plays an important role in deciding prices. The best pricing decisions take into account data regarding weather, day of purchase, several economic factors, location and more. It is mostly curated for large retailers. For example, how about some doing some routine advertising – it applies to both digital and offline branding, though much easier for digital. A monthly newsletter carrying all the needful information about discounts, new product launch and promotions always will keep your customers’ updated about everything that’s going around the company. But, make sure they have some sort of personal touch – personalized marketing helps! While the sky is the limit for data science, the blog above sheds light on the benefits of data science and the true impact of having trust on data. After all, it is of no use to keep data and not take advantage of it! DexLab Analytics offers premium data science training in Delhi NCR for affordable rates. Try their courses today!